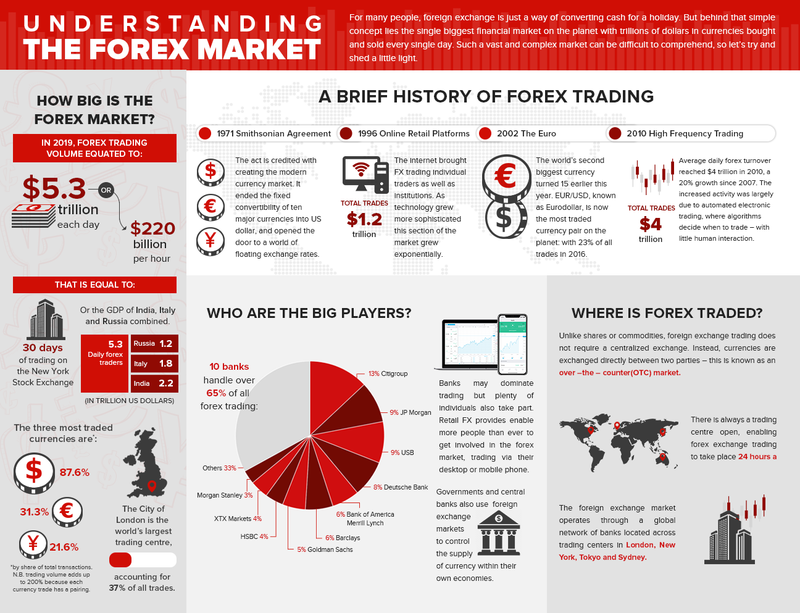 The foreign exchange market has the largest liquidity of any market with approx. 5.7 trillion dollars being traded every day. In order to succeed, traders must consider several factors before placing trades. A few of these factors we will include in today’s article, which are the trading sessions, and market hours. Market hours means the times in which traders and institutions can exchange currency and speculate. As you may already know, the market is a 24-hour market, 5 days a week. This is due to currency needing to be exchanged all over the world in all time zones, made up of commercial firms, banks, hedge funds, and brokers. This is why many of these entities have global structures with offices all over the world, enabling them to execute currency exchanges at any time. The only time orders would not be executed in those time-zones would be bank holidays. In forex trading sessions the financial hub would trade during normal business hours in their time zone. It is important to understand the market hours and the best time to analyse the markets. What are the Major sessions? As soon as one market closes, another opens simultaneously, therefore, keeping everything uniform and making it a 24-hour market. When the market overlaps, this is the busiest time and the highest volume of trades are executed. Currency pairs will vary in the way they are volatile at different parts of the day due to the demographics of traders who are trading at that time. The market generally gets split into three main sessions. The European, the North American, and the Asian session. The Asian markets are the first to see action due to the time zones, the main trading occurs in Tokyo capital markets which occur between Midnight and 6am GMT. We also see trading based in New Zealand, Australia and China. This is why the Asian session is generally considered to be from 11pm – 8am GMT due to the range of countries trading it. The main financial hub in this session is London, therefore the official business hours are from 7.30am – 3:30pm GMT for this session. There are also contributions from France and Germany which add to the liquidity in this session. Whilst London and Tokyo were the main Hubs in the other sessions, New York is the main financial Hub in North America. There are contributions from Canada and Mexico in the western trading session. The main volatility comes from New York. The business hours tend to run from 12pm GMT – 8pm GMT but alter slightly due to the Pacific time zone in North America. Some of the best traders will tell you the first few hours of a trading session are best to trade due to increased trend, momentum and retracements in price action. Also, on the hour of each hour and 5 minutes just before provides good volatility for taking positions. You will also find this time period to be best in dealers spreads due to the high frequency of trading at this time. Do not trade when there is low liquidity, this is generally around Midnight to 2am GMT. Low liquidity can cause unusual volatility and cause markets to hit your stop losses quicker. The first thing to consider is the market session you fall under in your time zone, then consider the best time where the market has the most liquidity and understand when you get overlap from the session prior. Identify the first few hours of your trading session and focus on getting your orders placed before this time period or alternatively be ready at the screen to trade. Understanding trading sessions and market hours will provide you with an advantage when it comes to understanding volatility and the best times to trade, please focus and consider this when placing a trade.